Comments: A senior member of the Jedi Council, Mace Windu is a highly revered Jedi Master. He personally leads a battalion of Jedi to the red rock planet of Geonosis in an attempt to rescue Anakin, Obi-Wan, and Padmé. Note: There are two versions of this set, each with a different colored Battle Droid. The white version was released first, followed by the red version, which is more movie accurate. 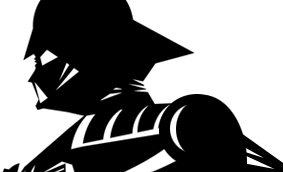 The graphics were changed as well, although variations exist. 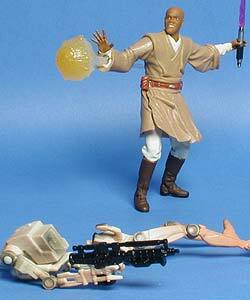 In addition, Mace Windu underwent a change, as some figures are missing the peg holes in the feet.